The Demandflex™ ballasts feature wireless-control technology that receives commands without the need for extra control wires. 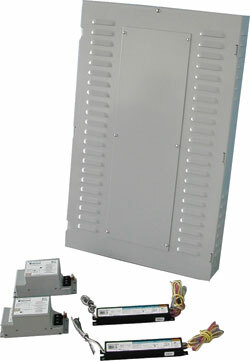 Technicians can tune the power levels during installation at the circuit level to optimize and maximize energy savings. The DCL® controls allow for local control with energy-management systems and external control via the Internet with network-managed systems. The controls also integrate with utility demand-response programs.